Sarge opens the show by discussing a study linking PPIs (proton pump inhibitors) to an increased risk of dementia in seniors vs those who didn’t take those meds. 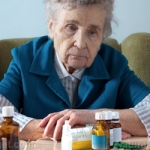 He further shows why this is the case and explains that it’s not just dementia, but ALL of the 900 Chronic Health issues come with increased risk to ANYONE taking those drugs, not just seniors! He goes on to discuss gluten intolerance and immune system boosting and takes questions from the chat room!